Hello MicroPasts, thrilled to meet you! My name is Adi, and I’m a research associate at the UCL Institute of Archaeology. Earlier this month I joined the MicroPasts team – and I’m especially excited about this project as it feeds into my background and interests in so many ways. Before coming to London I was an archaeologist and academic back home in Israel. A few years ago, I created the West Bank and East Jerusalem Archaeological Database (WBEJAD), an inventory of archaeological sites excavated or surveyed by Israeli archaeologists since the occupation of the West Bank in 1967. Archaeological databases in the Occupied Territories were also later on the subject of my PhD dissertation. So, I’m passionate about topics such as documentation, recording, and the management of archaeological and heritage data. Now, let me tell you why I’m so enthusiastic about MicroPasts. To start with, MicroPasts can help transform physical archaeological archives into online datasets, as well as enhance exiting ones, using crowd-sourcing applications. Our crowd-sourcing platform is going to enable the transcription and tagging of fascinating archives such as UCL’s Institute of Archaeology’s historical photo collection of Near Eastern excavations, and the British Museum’s index cards of Bronze Age metal objects. The importance of these tasks is immense: undigitised archival data is hardly accessible – but making data freely available online opens up endless research opportunities and public use. Another crowd-sourcing application, which will allow producing and rectifying 3D models of the British Museum’s metal objects, will also greatly enhance existing data and increase its usability! This leads me to another aspect of MicroPasts which I think is vital: making data free and accessible. I first realised the importance of open data when creating the WBEJAD, the significance of which was not only in its contents – but perhaps even more so in the fact that this information has been easily accessible for the first time. I find the debate over open access to data to be crucial, as it’s concerned with ideas of equality and democracy. 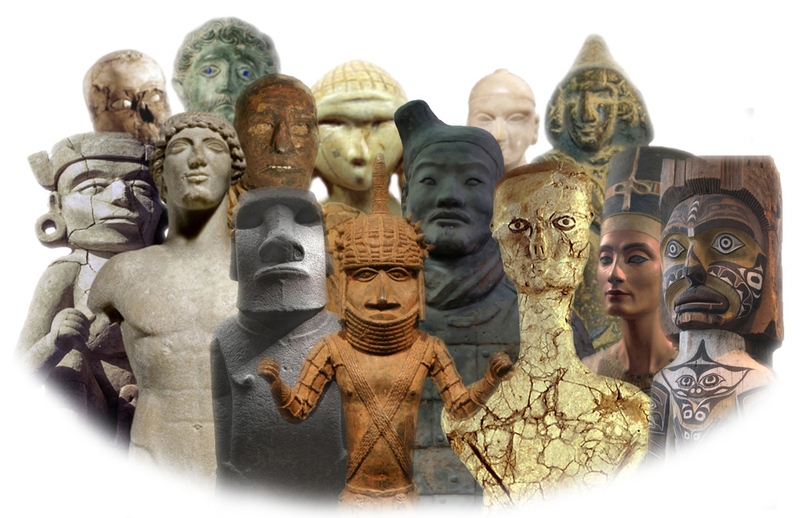 Archaeological data in particular is considered to be universal knowledge, belonging to everyone, and not the private property of the researcher retrieving it. Allowing data to be freely available online encourages the general public to become more informed and more engaged with archaeological heritage. The advantages of fully accessible data are abundant also for academics: more researchers can discover and reuse data, a practice that improves the quality of research as scholars become better informed. Open data is more visible, more accountable and more transparent. In the case of the MicroPasts platforms, open data can also increase opportunities for collaboration between academics, professionals and the general public. The idea of co-designing research is innovative – and I’m very much looking forward to see how it develops! This engagement of communities is another aspect which I really like about MicroPasts. Being an academic, I see public engagement as fundamental to the archaeological discipline. MicroPasts involves communities right from the start! Using our crowd-sourcing platform, people can directly engage in the production of research-quality information. Anyone can also contribute money to archaeological endeavours that they are interested in and consider important through the crowd-funding platform; and, as mentioned above, they will also be able to be directly involved in devising professional projects and pushing them forward. This is what’s called ‘citizen science’ – and that is the essence of the democratisation of science. As you can probably see by now, we at MicroPasts use cutting edge technologies and software in order to engage communities with archaeological projects. We are creating and customising crowd-sourcing and crowd-funding web platforms, and using GitHub to customise, revise and share our open source code. We will also store and display large chunks of data in online repositories such as the Archaeological Data Service (ADS) for text records and 3D models or Flickr for images. And, we use cool software to create 3D models of metal objects using Structure from Motion (SfM). This project really seems to tick all boxes for me. Lots of exciting things to look forward to then! The MicroPasts team presented this morning on the progress of the project so far, as part of a British Museum staff breakfast presentation. The presentation (without script) is shown below as an embedded pdf from Google Drive. It starts with detailing some new work on the Portable Antiquities Scheme site (visualisations by Tracemedia and mapping improvements) that BM staff may not have seen previously. Then it moves onto discuss the aims and objectives of the three strands of the MicroPasts project. A new 3D Photo-masking project! Join Now!